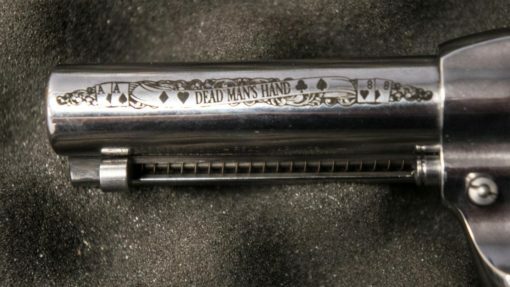 The most notorious outlaws of the Wild West were never without a firearm while gambling in a saloon. 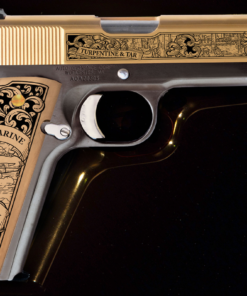 Everything from derringers to pocket pistols were concealed. Gambling and firearms soon became an infamous pair in the Old West. 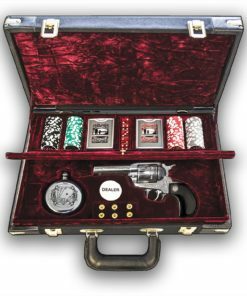 Cowboys loved the thrill of gambling so much that they even created traveling gambling boxes for when they were out on the trail. 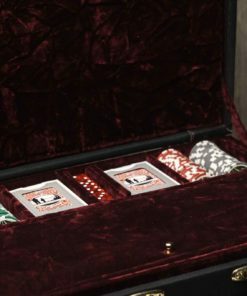 These cases carried cards, dice, chips and some even had a roulette wheel. 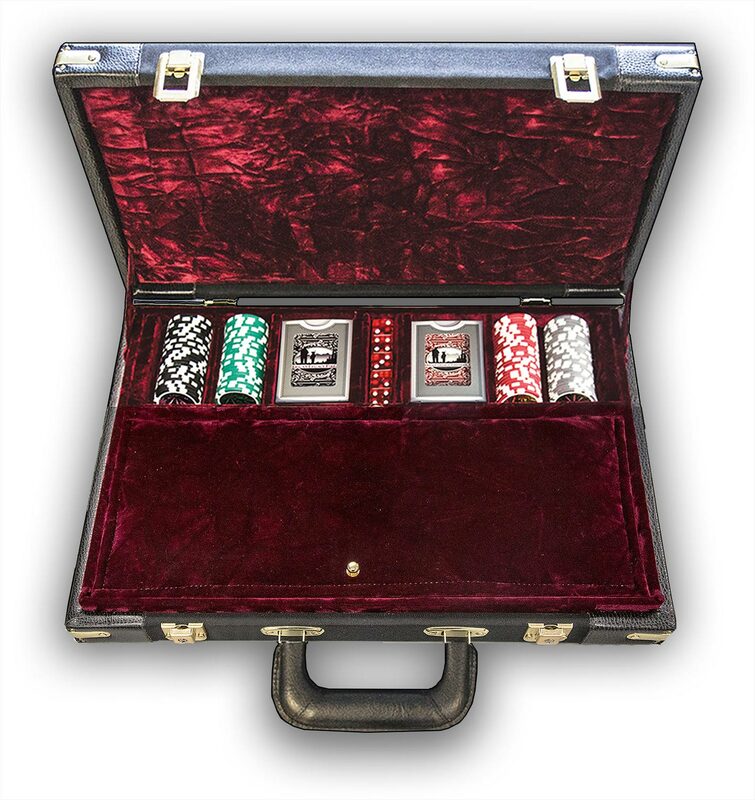 These traveling gambling boxes are so rare now that they have become a high valued collector’s item. 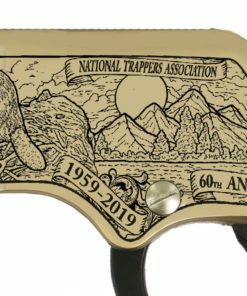 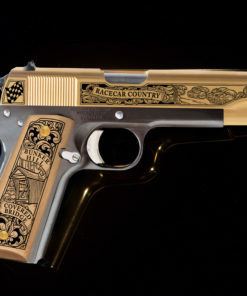 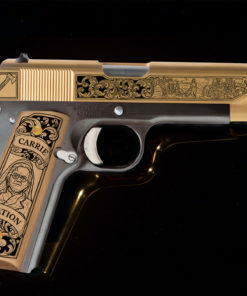 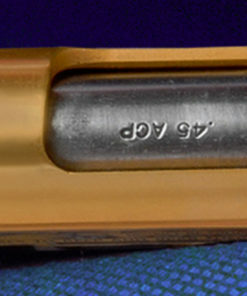 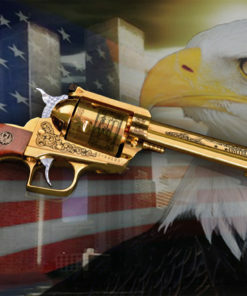 American Legacy Firearms is proud to resurrect that concept and add some character with an exclusive engraved firearm. With its leather covered corners and classic brass locks, the case can easily be mistaken for your everyday briefcase. 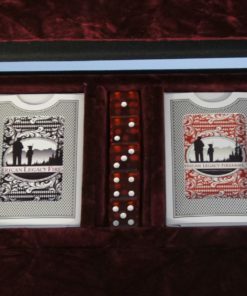 Once you open the lid, the classic Western crushed red velvet interior will capture your eyes. The case is designed to hold the cards, poker chips and dice complete. 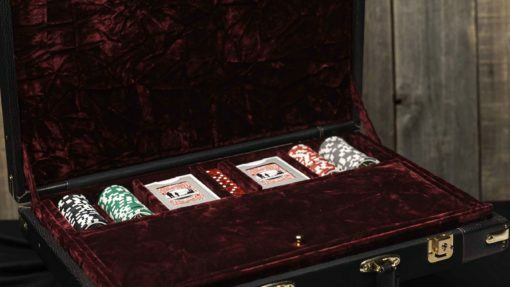 Each compartment is snug so that it can be taken everywhere. 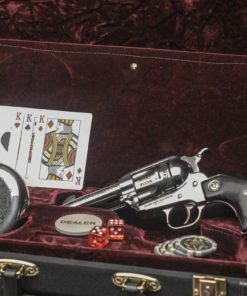 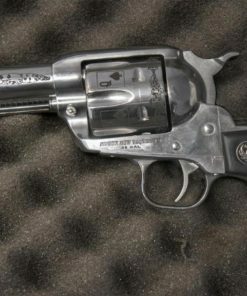 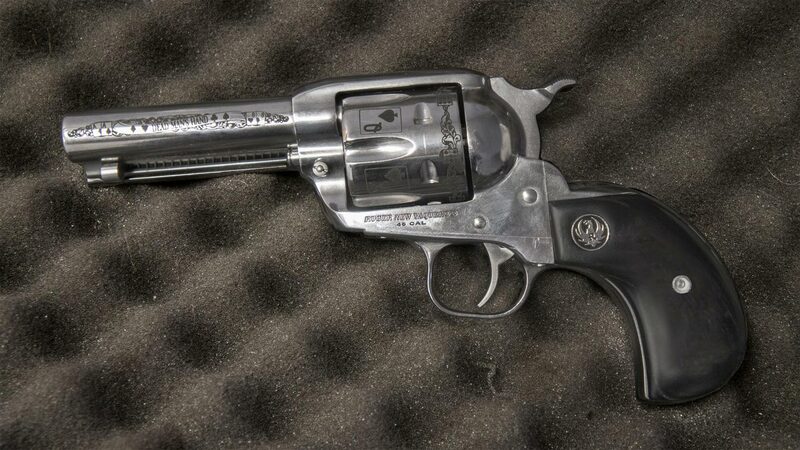 Below all of the gambling accessories however lies the heart and soul of the case; A stainless steel Ruger Vaquero .45 Long Colt that is ornately engraved with the iconic symbols of gambling. 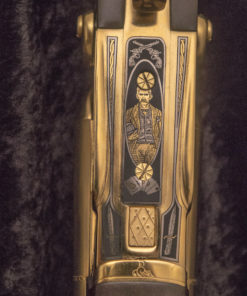 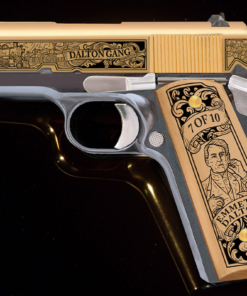 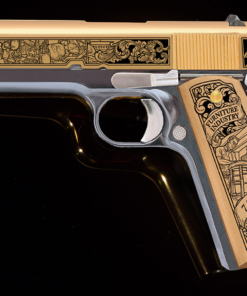 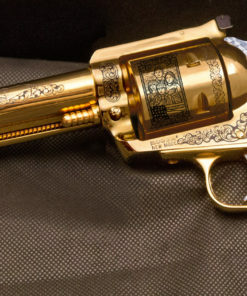 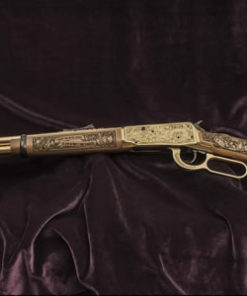 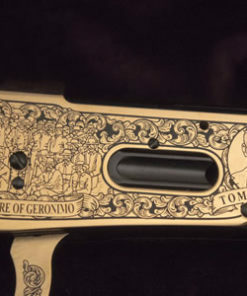 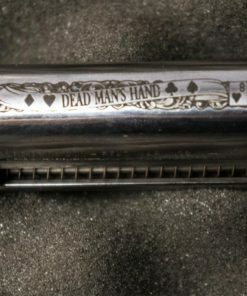 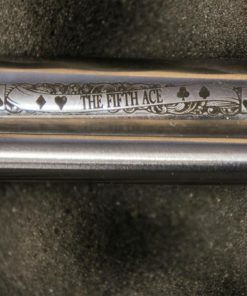 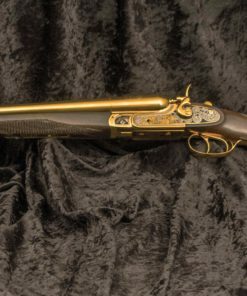 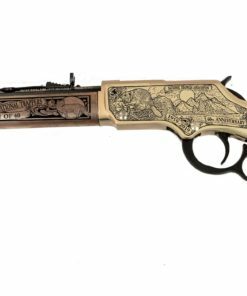 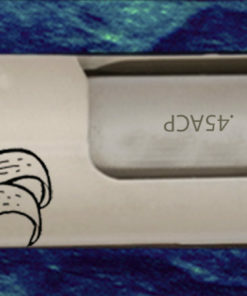 Engravings of the “Dead Man’s Hand” from the Wild Bill Hickock tale and the royal flush are some of the custom engravings on the gun. 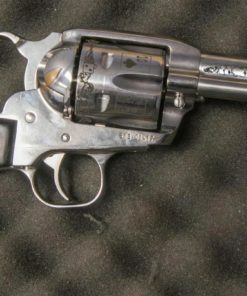 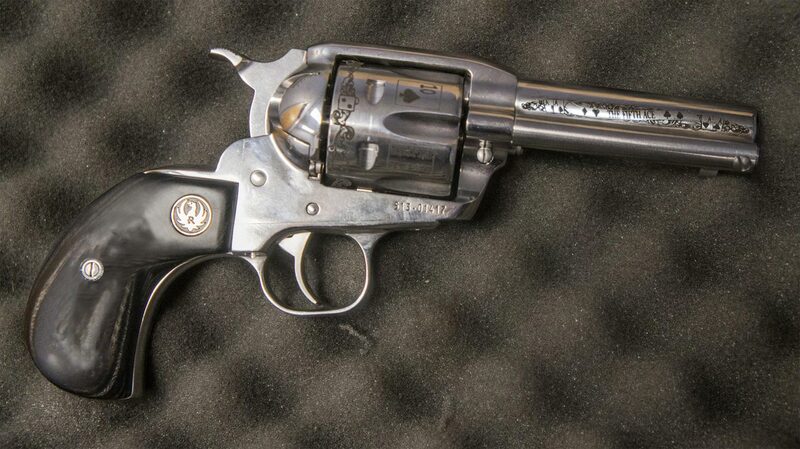 The revolver comes with the birdshead grips which were a concealed carry style in the Old West. Situated beside the revolver is a 5 oz flask that can be personalized with a phrase or sentence of your choice. 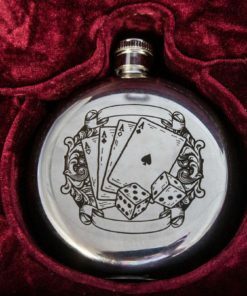 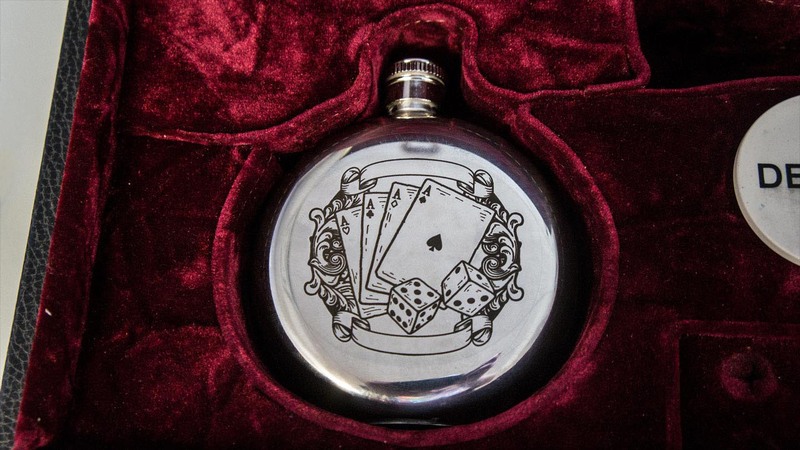 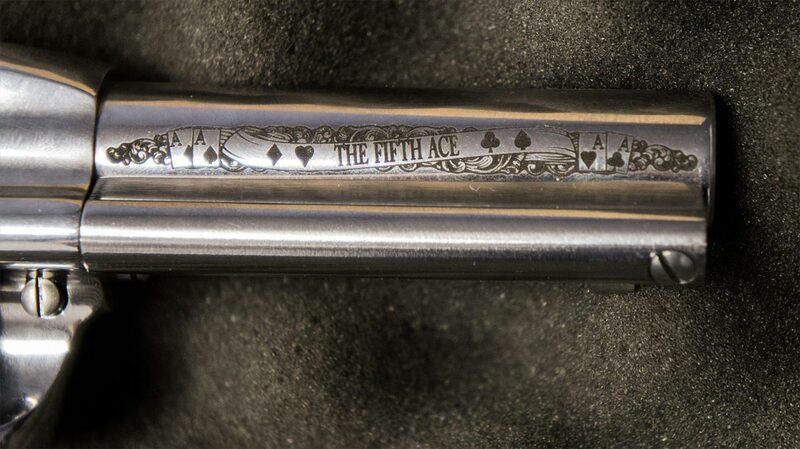 The engravings capture the spirit of the game and make a unique addition to any gambler. 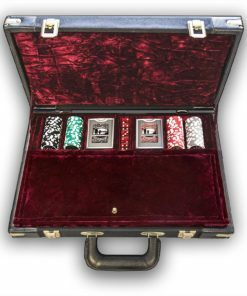 This is the most unique gambling set available today! 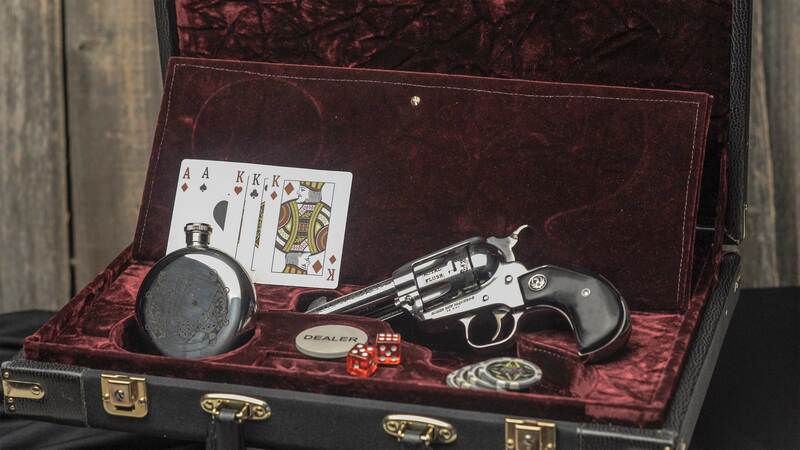 From your firearm, to your flask, you have it all in one case! 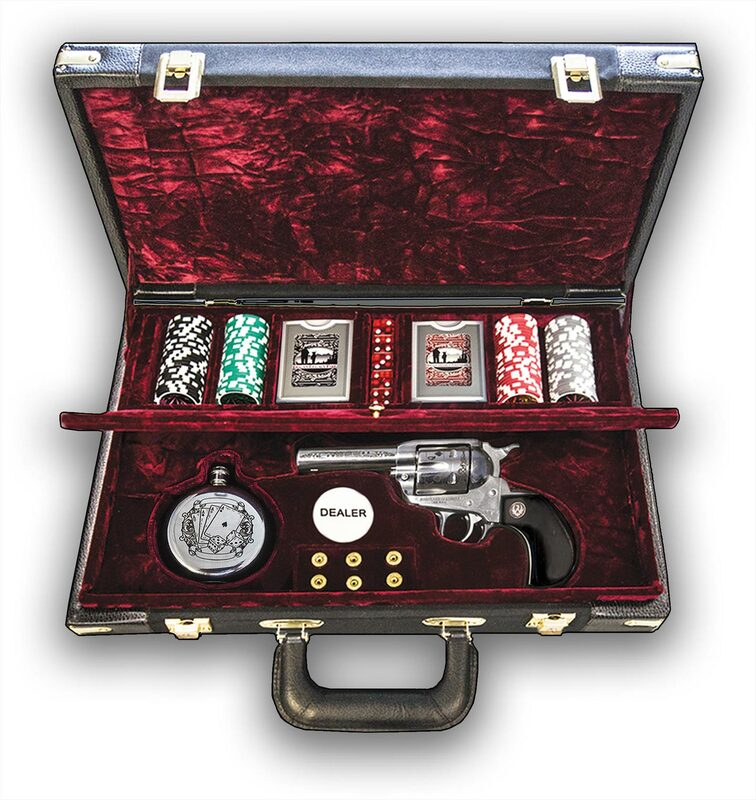 Whether you’re looking to own a rare firearm set or wanting to add something exclusive to the man cave, this gambler case is for you!